Until mid-May, we are especially eager for ideas on what should be added to our “Fragmentation” report. Are there types of fragmentation we’re missing? What do you think of the categories? Should we be more sympathetic to the inherent need for academic typologies to exclude some game types? 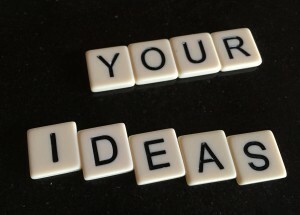 If you have ideas, please contact us! 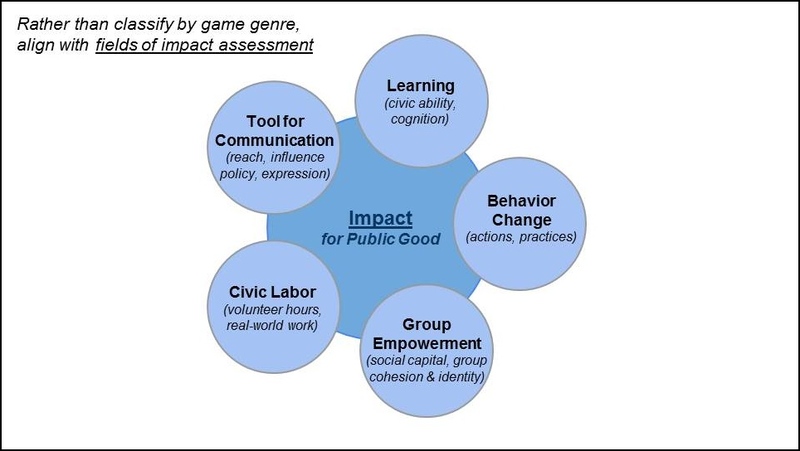 Here’s a very early brainstorm about a typology based on impact, as recorded April 2014 at the Games for Change Festival. What kind of impact is possible with a game? 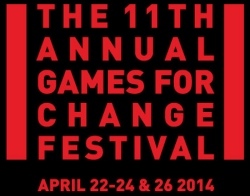 The secret is that successful games have *different* kinds of impact. Too often, the success factors and indicators are mucked together. Perhaps it is time we stop confusing behavior change with advocacy campaigns, let alone success in crowd-sourced labor! 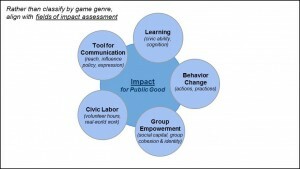 For the first time, with funding from the David & Lucile Packard Foundation, we are aiming to spell out different big picture frameworks for “how games have impact.” On April 24th, we are launching this public discourse: come away with starting points to evaluate your next game, and maximize its impact.